As a wedding photographer, you are in the lucky position that newly married couples want to keep their wedding pictures for many years to come and are therefore quite an easy audience to sell to. As mentioned before, a large number of wedding photographers are choosing to sell to the couple in-person before putting the images online. This is a great opportunity to hone in on the emotion of the day and encourage those special product orders, for example, wedding albums, canvases and other wall art. Now you might ask, is it worth putting the images online after the in-person sale? And will it still produce sales? Of course! Once those special products have been ordered you can still boost sales through prints and download options. 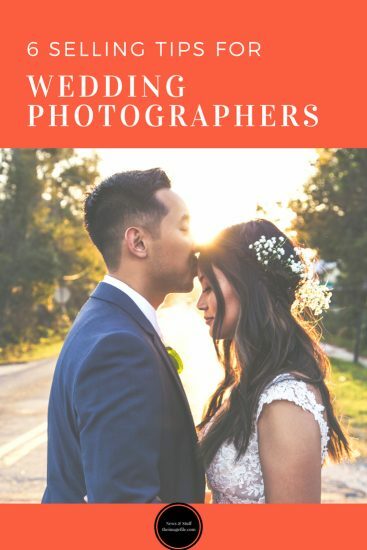 After all, the happy couple might want to add some additional copies as prints as well as that all-important social media download (every bride wants to show off the dress), not to mention keepsakes for parents and grandparents. To really maximise sales it’s important to have a cut-off date on the images. For example, many wedding photographers tell clients that images will only be available for a number of weeks so that clients must purchase their desired images and can’t just view them online whenever they want forever. The wedding album is one of the easiest products to sell as, let’s face it, whether a couple gets their wedding album from you or somewhere else, they want one. It’s an ingrained part of wedding photography and often one of those things that people have seen throughout their family all their lives. So how do you convince couples to buy their wedding album from you and not DIY a version? One of the best ways is to offer clients something that they can’t get anywhere else. This means offering albums and a process that is different, better and easier than what your clients can get or do on their own. However, be aware of a theory called the “paradox of choice” which says that when we are overwhelmed with choices and options, we will choose none so make sure the process is as easy as possible and a no-brainer. Show album examples on your website. Talk about the importance of a wedding album with your clients right from the beginning. Plant the seed that a wedding album is not just a keepsake for their wedding but something that they can pass down to their children and grandchildren and preserve for years to come, regardless of if technology moves on. Wedding fairs are one of the main ways that wedding photographers find more clients. They are attended by thousands of brides-to-be every year and are the perfect stage to be noticed by potential customers. Not only does this type of event give you the chance to sell to the client face to face, which is generally far more successful, but also allows you to show off some of your products and hand out various marketing material. Another way to increase bookings is by word of mouth. Many wedding photographers are booked by guests of weddings they’ve photographed in the past so make sure you put your best foot forward on the big day. Be visible, but not in their faces. After all, it’s someone’s wedding not a wedding fair. Be charismatic, jolly and really put over the excitement of the day. There’s nothing more endearing to a bride (or groom) to be than seeing someone not related to them getting excited about the day. Remember to ask for testimonials. It is something that nine times out of ten is forgotten. These are such fantastic marketing tools for engaged couples and is almost as good as a personal recommendation. Generally, it is the bride that books the wedding photographer so try to appeal to the feminine audience. Think light colours and clean layouts. Also remember that a wedding day is a hugely emotional event and that should be reflected in the images you display, the fonts used and any music choices. Below are some ideas for search engine optimisation terms that you could include on your website.